This is my usual way of starting a project. 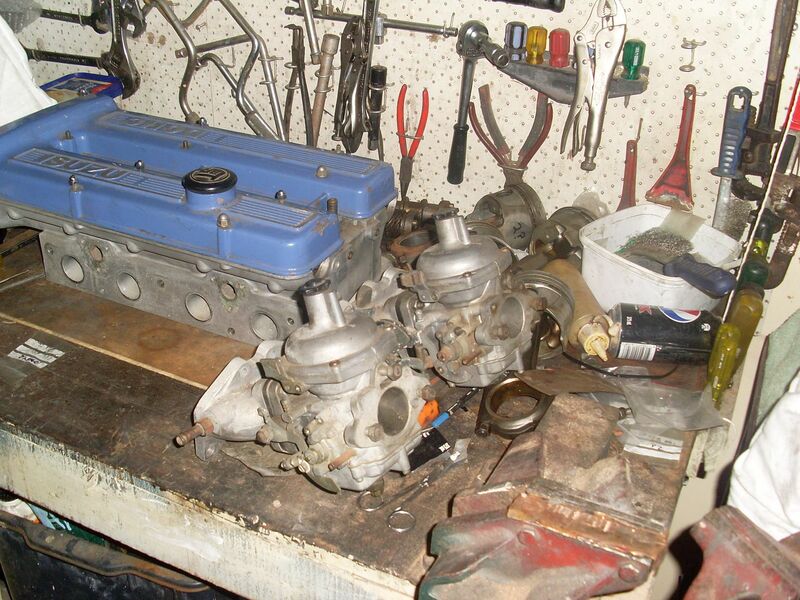 Start with an engine and then find a car body to fit around it. Three of my Gemini projects out of six total started this way. 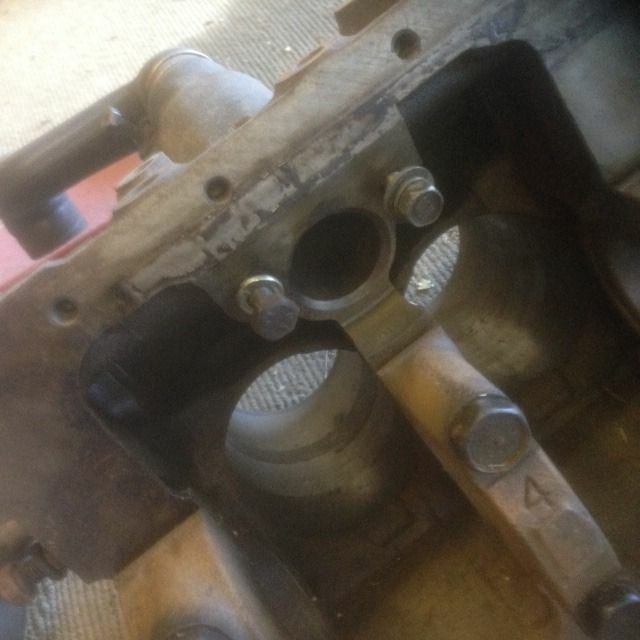 When I was approached by a guy in the street about a twin cam engine that was part of a deceased estate he was helping sort out I took it as a sign – or maybe evil omen. Certainly a challenge. So this story as it unfolds will either be a tale of exhilarating success or the chronicle of a disaster. I am prepared for it to go either way but hope that kind souls will bail me out with advice and wisdom as I stray. I would estimate by the build up grime and surface nothing had moved for at least 10 years. 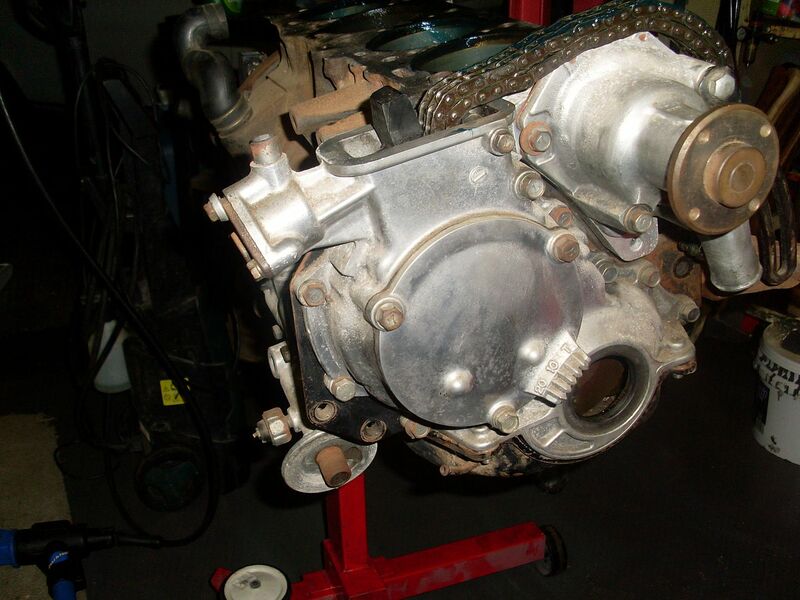 The lucky part was that it was a G200W block with the desired oil filter mounting and tensioners as well as cams and cam bearings in really good nic. The bad would emerge after I shelled out $400 and got it home. Looking forward to seeing this!!! First thing I noticed after I got the engine home was a big hole where an oil pump should be and no pick-up pipes. I already knew the dissy was missing. Also water pump pulley, water manifold, adaptor plate and all the sump bolts. I went back to place I got the motor from and searched the junk pile but no go. Did came with a geed set of CD140 Strombergs manifold and linkages which of course I cannot use. 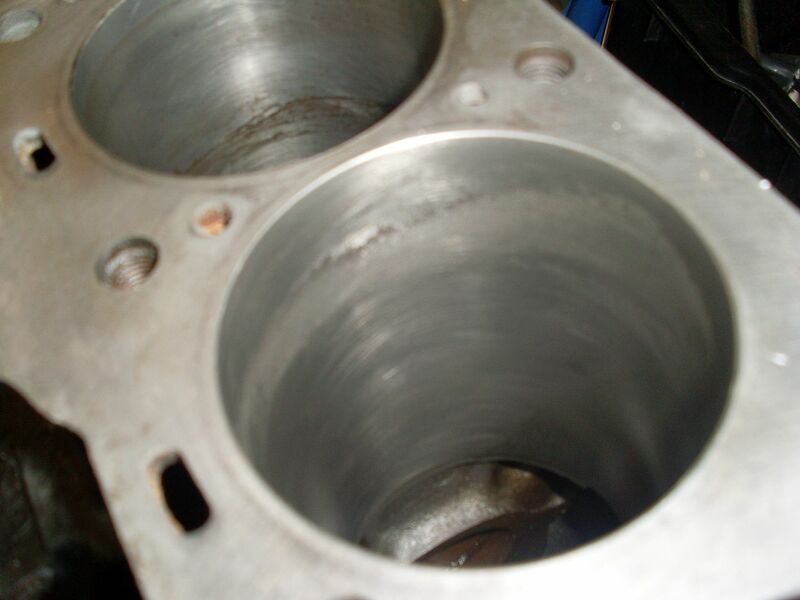 Number 3 cylinder has also had water in it and has a nasty bit of pitting that makes the reuse a bit dodgy. In my younger days I would not have worried about it. Looking at an option of having a G180W block bored to take the standard. 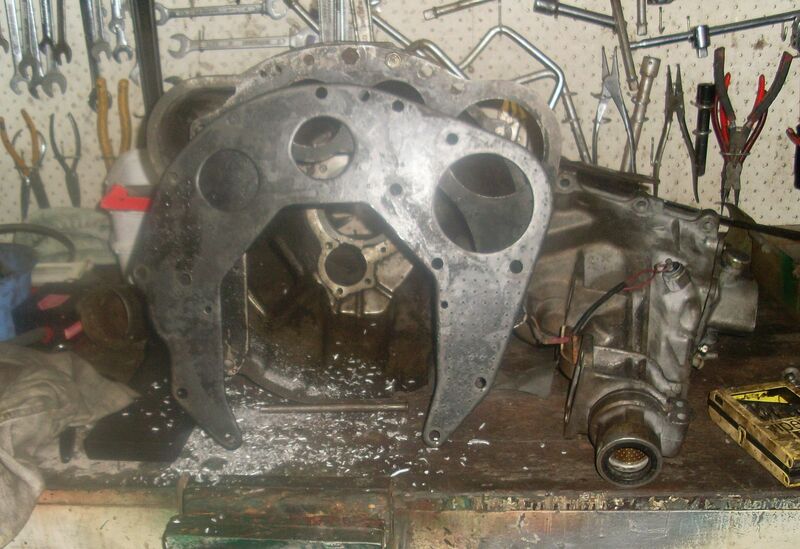 Took the Crank, pistons and a gemini flywheel to Steve Hagan to get the pistons checked (they were OK), rods resized and crank ground. First problem crank is more than 20 thou out of whack. 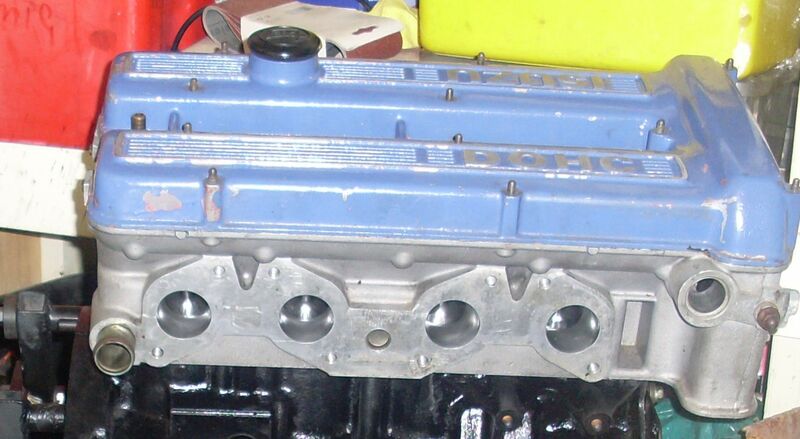 No problem says I, I have a G180Z block and crank here that also fits the W engine. So I lug the crank on the train to Enoggera and drop it off – it was worse out of whack. Luckily able to source 40 thou bearing and it was just enough. The end of the crank was also lightly machined where some Wally hit it with a hammer and burred the lip so the flywheel would not fit. The head is beautiful. The previous owners has shined the ports to a mirror finish. Valves and seats are good and the valves lapped in well. There was even a tool with the valves for fitting the collars and collets. The normal valve spring tool did not work so my trusty Dawn G Clamp was pressed into service. 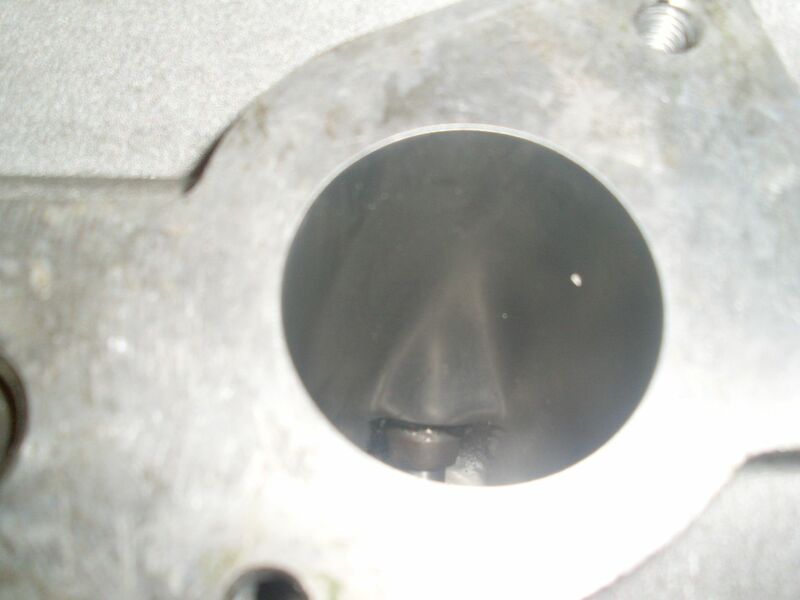 Once I had 3 and 4 inlet in I fitted the cam and checked clearances. They were a tight 3 to 4 thou which is a bit tight. I am guessing that I won’t be able to do a full check until the head and timing gear are fitted. Cam bearings are good with a little wear on E1 and I1 (closest to the drive gear) swapped them over with E3 and I3 which appeared to have little wear. Picked up two new timing chains on Ebay but have second thoughts about the quality?? Since they were I usually pay more for bicycle chains. So...no need to build a car for it. Rip the 4ZB1 out of your coupe and put this in there instead! Removing valves on these is an absolute pain in the arse. None of the off the shelf tools seem to work properly, the little cavity the spring sits in is a prick etc. I gave up in a fit of rage and just gave it to Kanaris to do. Wasnt worth my headache for the $20 he charged me to strip it down. Guessing you bought the Competition Parts ones? Ive got the same ones so Im hoping they are ok. The only thing that worries me about them is the removable link on it looks a bit....s*#t. Hoping it wont fling itself off if i hit the rev limiter on accident. Guess we will find out. First thing I noticed after I got the engine home was a big hole where an oil pump should be and no pick-up pipes. I already knew the dissy was missing. Also water pump pulley, water manifold, adaptor plate and all the sump bolts. I went back to place I got the motor from and searched the junk pile but no go. Which bits have you sourced so far and which bits do you need? Im contemplating pulling my spare engine to bits for the later timing tensioner set up; if i do, im willing to offload a few bits. Basically have everything in your list [except not sure what you mean by adaptor plate]; the dizzy i have though is a optical CAS/ITEC style one so not sure if its any use to you. Heading up the Sunshine Coast coast tomorrow to the Isuzu equivalent of of Dreamworld and Sea World. - yes I'm going to Elky's. He has moved to a new location and I am hoping he has some of the stuff I need. Will see what i can get locally and be in touch. That 4ZB1 in the coupe is actually a 4ZC1 with 2.6 Mitsubishi Astron valves the head - its a great motor with a heap of grunt and way better spin than a G200Z. Had a lovely morning at Elky’s. Since he has an imported Gemini with a twin cam I get to see how it all fits together, engine mounting options and all that. 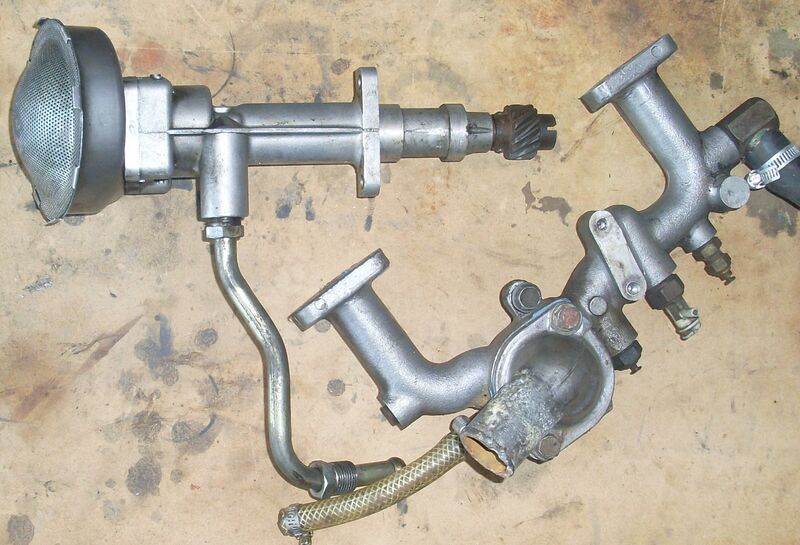 Most importantly he had an oil pump as well as a water manifold and genuine engine to gearbox adaptor/spacer plate. I have taken to carrying the oil pump with me where ever I go and named it Precious (…whats that precious?..No.. no Hobbit here…). There is something very Tolkienian about twin cams. They put you under a spell. Also, picked up a dissy of unknown parentage that was fitted to a twin cam. If I can find out what it is I may be able to use it other wise the plan is the salvage the drive gear and adapt a Gemini dissy. 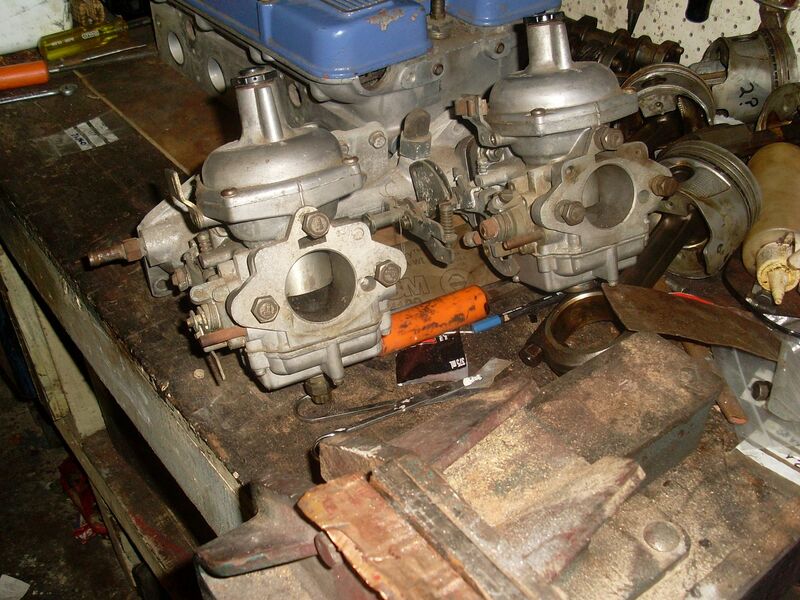 Spent a good deal of the week end trying to figure out how to fit a Gemini 5 speed to a twin cam. 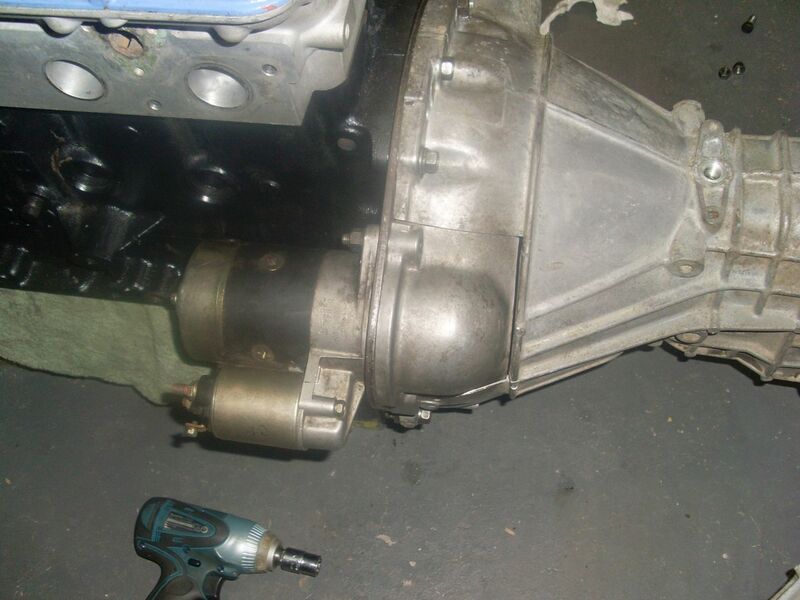 For the gearbox, cutting and welding in a second starter motor section from a donor gearbox is looking positive. If I use the engine braces from a Gemini on the W motor (they fit) then the respective holes on the gemini box will line up. Other than that only the top centre bolt hole and adjacent locating lug are the same between the Z and W motor, although others are close. - the G engine has the starter at the 11 O'Clock position and reversing it puts the starter at 1 O'Clock - but the W series standard position (as seen on the W plate in the photo) is 1:30 O'Clock. It looks doable but getting close to the exhaust and therefor a potential problem down the track. Alos the G adapter plate has a big hole where a mounding hole for the block needs to be. - the W adaptor plate does no have metal where the engine braces connect. Other wise it will work. 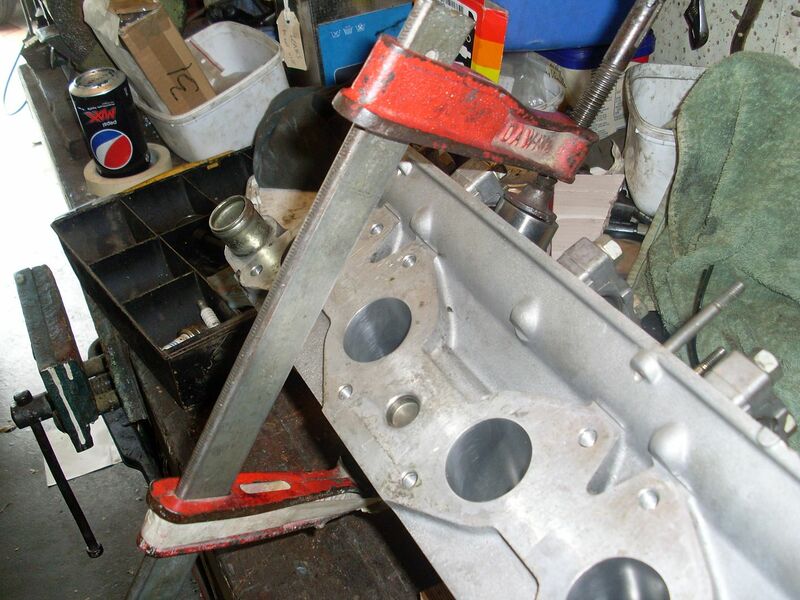 The plan forming is mod the W series plate by welding extra metal on from a G plate to connect to the engine braces and cover the hole for the old starter motor mount. Guts on that dizzy look aftermarket, looks like the old Crane Fireball kits that were getting around. 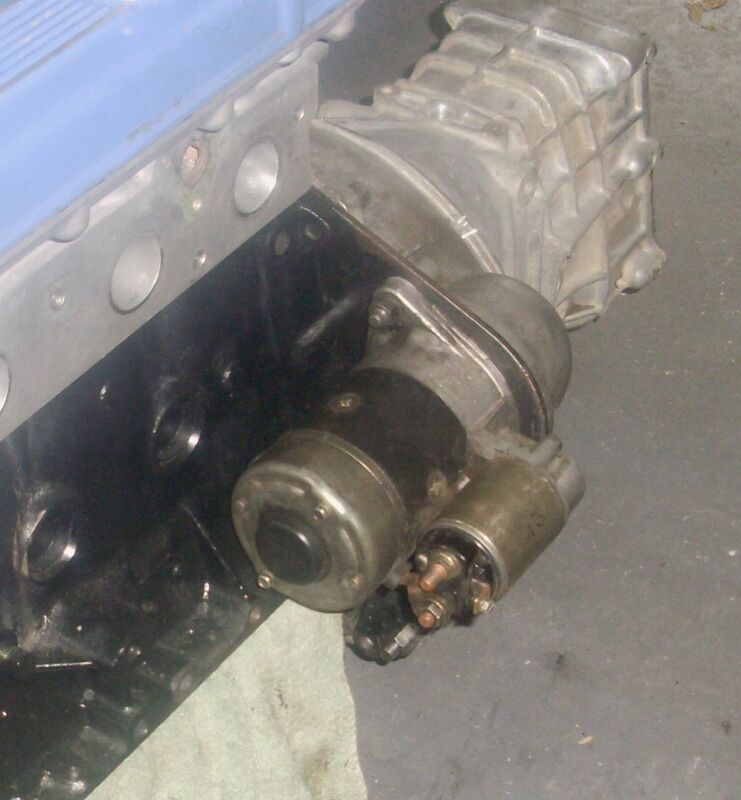 I had photos of a modified camira/DOHC dizzy, i think it was Antus that did it? 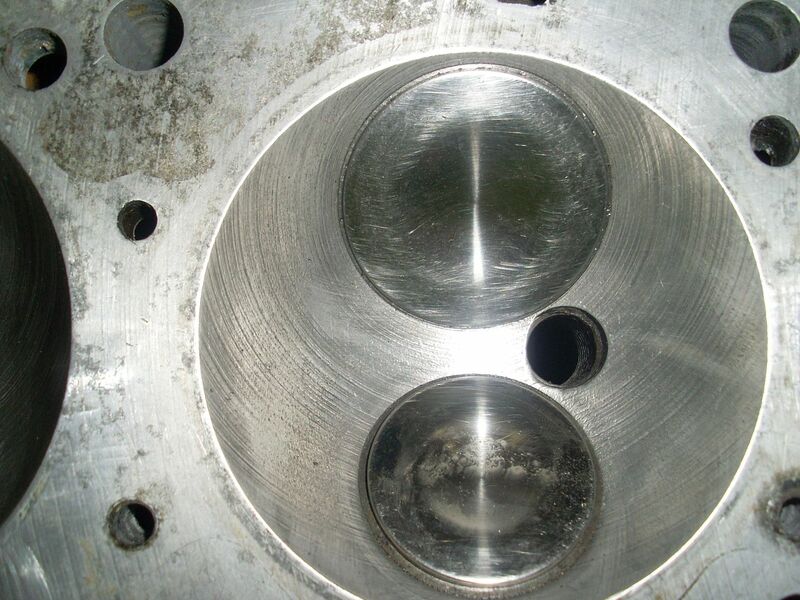 Oil pump internals are same as SOHC, Ash put photos of it up a while back. Modification of gearbox housing has so far been easier than expected. 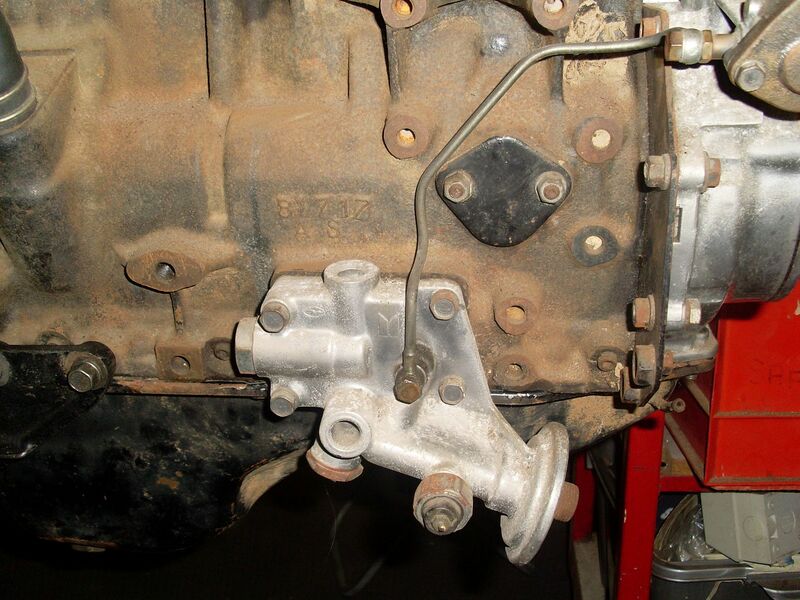 The adapter plate requires a little bit of donor metal welded in to suit bolt up to Gemini lower engine braces (that fit the W motor) and an extension to cover the gemini starter housing. 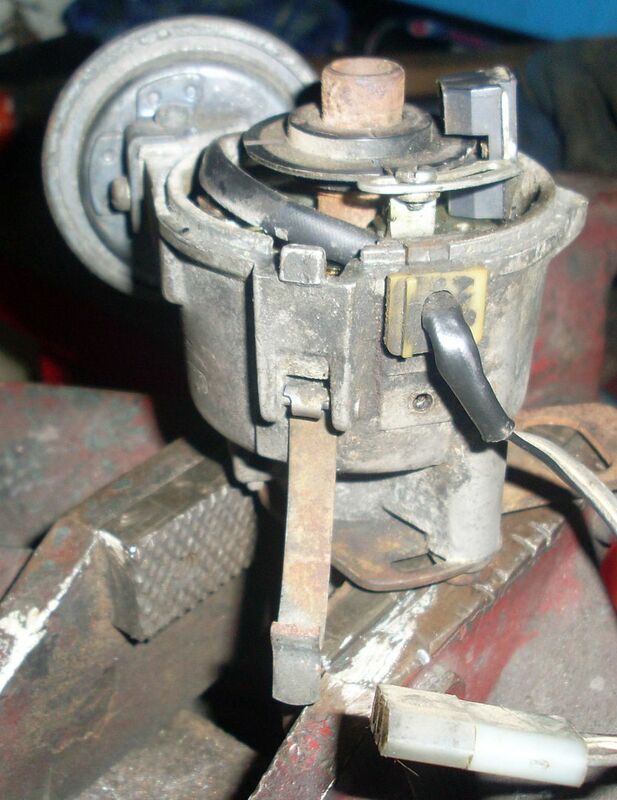 My original idea was to cut and move the starter housing but it is much simpler to add an extra housing from a spare ubiquitous 4 speed gearbox. This plan also retains the ability to use the gearbox on Z motors in the future. 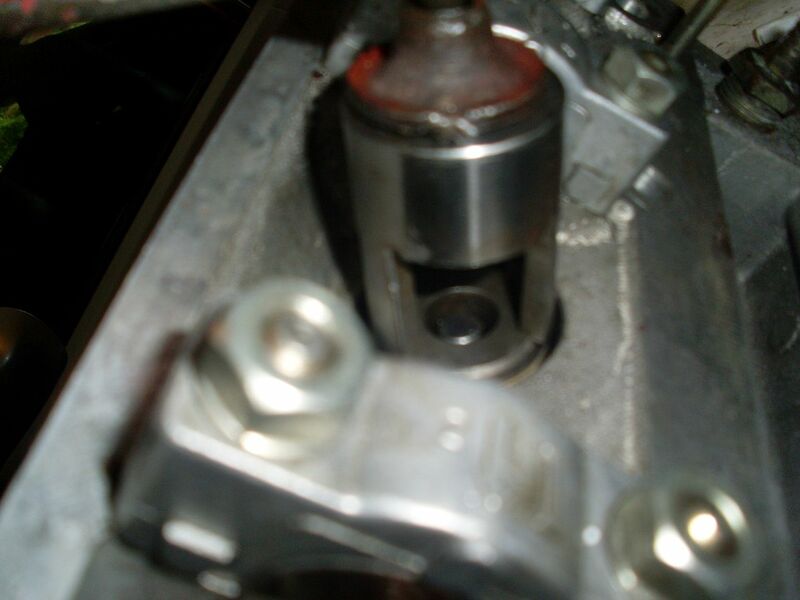 Well aware that alignment of the new housing is critical or the starter will jam up. The W adaptor plate only has three exact hole matches to the Gemini box – the 10mm dowel, the top centre bolt and the lowest bolt hole on the exhaust side. Others are close but need to be widened. To add the extra metal for the brace connections I bolted the adaptor plate the donor pieces to the housing to weld them – using the housing as a heat sink so there was no distortion or the plate. The starter motor rim is a close fit into the adaptor plate so can’t really wrong using the starter to precisely locate the new housing. There is a bit too much play to just use the adaptor plate holes. Next step is to get the new housing welded in. 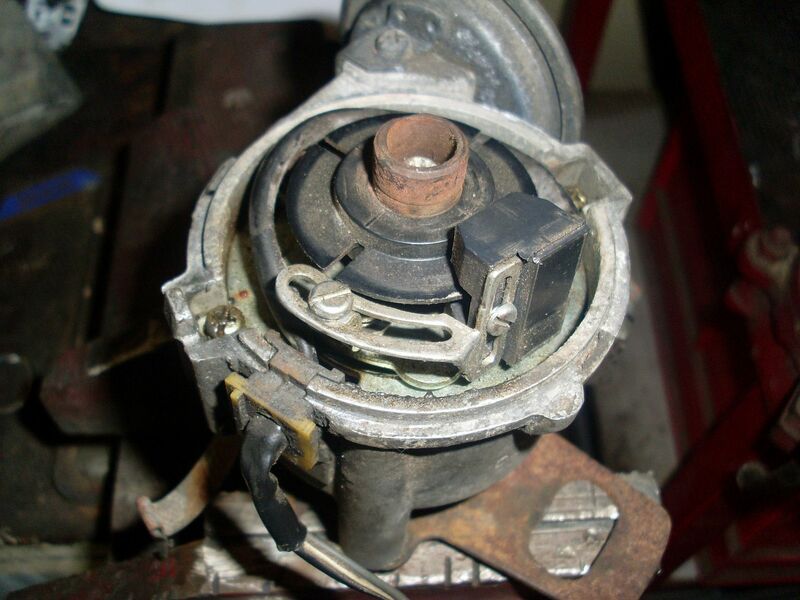 I am a bit concerned about the solenoid from the standard gemini starter sticking out. That could make the exhaust solution trickier. On the engine side, I have procured a G180W bare block and main caps that is currently in the shop being bored to suit the standard G200W pistons which will be reusable once the rods are resized. Got some feed back on the crank. The reason it needed 1 mm taken off to clean it up it was that it had spun a bearing. Still trying to ID the dissy to get a cap and rotor button. It is fitted with an after-market Crane Cam optical sensor. You could buy a twincam box on it's own? I know a guy that has one. 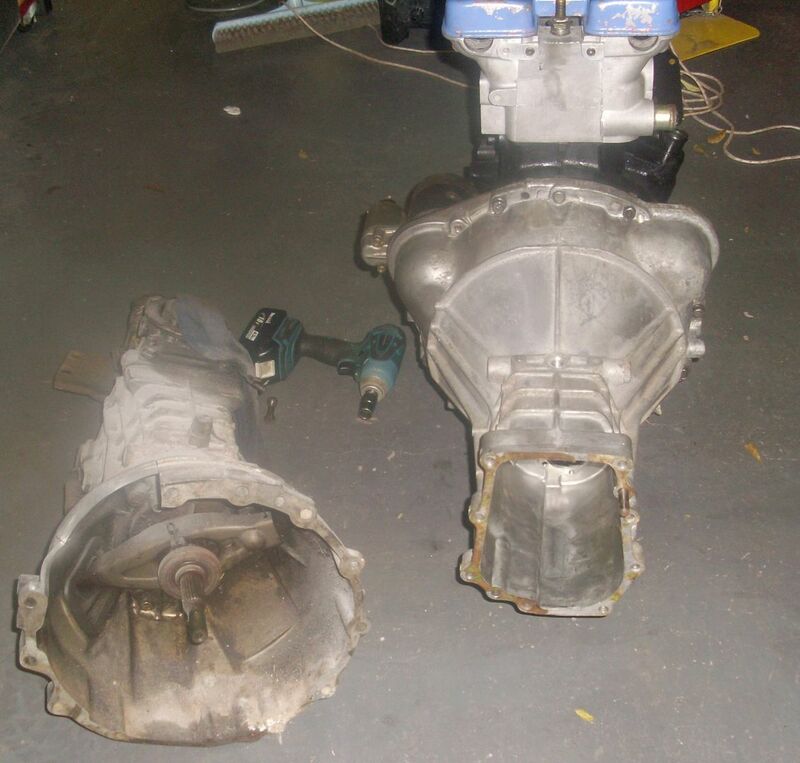 Just comes with a un-assembled twincam attached. Got a call from the shop. One of the rod caps is off a different motor and not that close a match to the rod (could be why it spun a bearing?). So that confirms that this engine was previously owned by Bozo the clown. Dropped off a collection of G180Z rods. Hopefully one of the caps will be closer pre resizing.